Whether the calendar says Cinco de Mayo or not, you can't go wrong with a good taco or burrito in Las Vegas. We're not talking about the best Taco Bell in the world -- although it does have its charm. 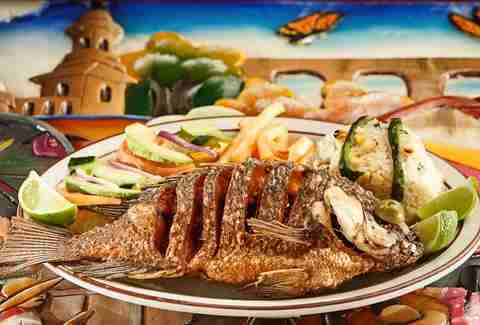 The best Mexican restaurants in town score points for both food and atmosphere, from fancy dining spots on the Strip to quick grab-and-go neighborhood joints -- and everything in between. So check out some of our favorites in the city of sin. 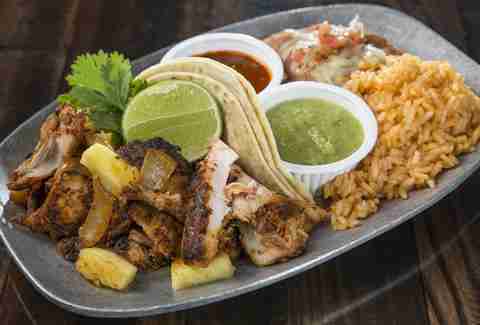 If you're looking for a Mexican fix while sightseeing in the heart of the Strip, it's hard to beat Chayo. 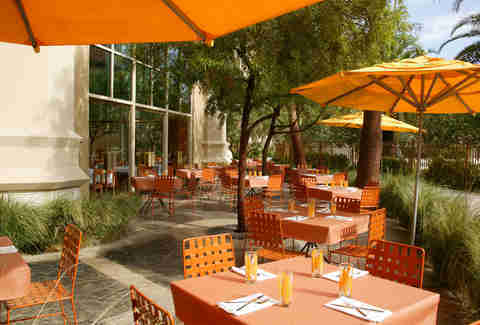 Centrally located in The LINQ outdoor promenade, the restaurant is ready-to-go for breakfast, lunch, or dinner. The outdoor patio was recently renovated, since it's easier to people-watch with retractable shades and misters. 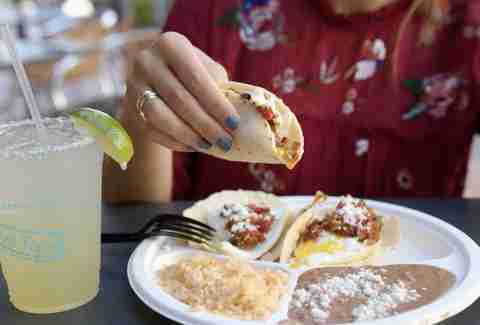 A killer happy hour runs daily 2-6pm with Azulitas and Dos Equis for $2 and a pair of street tacos for $5 among the best deals. If that's not enough, Chayo will validate parking for two hours -- which may be the most important thing in Vegas. After building a buzz with its first location in the West Valley, Bomb Tacos has expanded to Downtown with a minimalist menu that offers just a few things -- but does them really, really well. 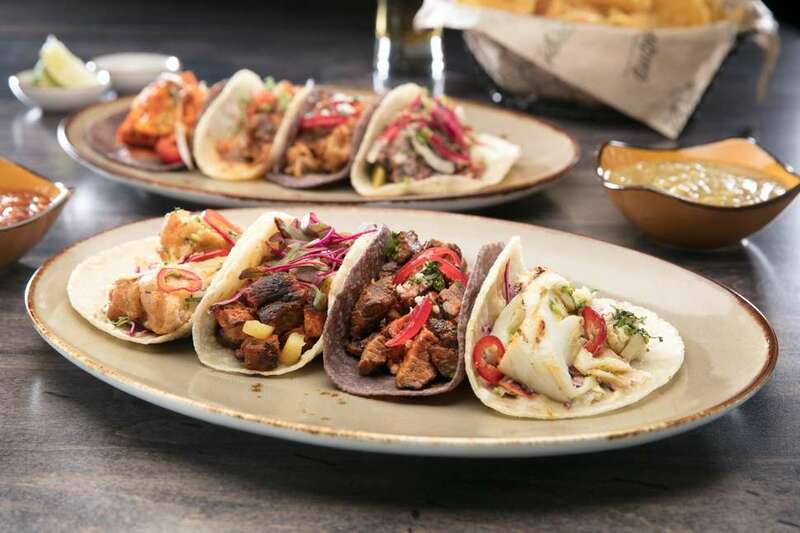 With tacos going for about three or four bucks, the joint isn't expected to compete with fancier places on and around Fremont Street, but it's the perfect solution for anyone looking for a quick bite with money leftover for the penny slots. If you want to add a side dish, the deep-fried cauliflower is truly the bomb. Don't look around here for sombreros or mariachi bands. Bandito takes pride in its bold, contemporary environment -- an impressive structure of tall ceilings, floor-to-ceiling windows, and modern decor with DJs and other live entertainment on weekends. 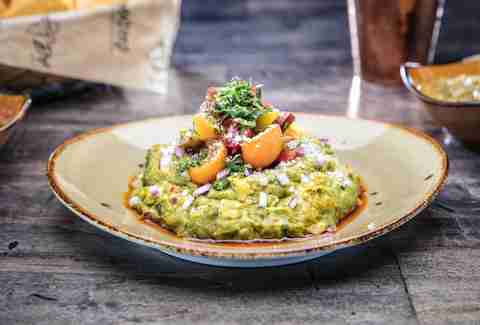 Everything from the avocados to the wild-caught fish is carefully sourced to emphasize quality among a vibrant lineup of ingredients. No big servings of rice and beans here. Instead, you get an incredibly balanced plate of distinct flavors -- and even a few veggies on the side. We kinda love how the enchiladas are served "inside out" with the meat on top and the tomato salsa is decorated with bits of black char from the grill. 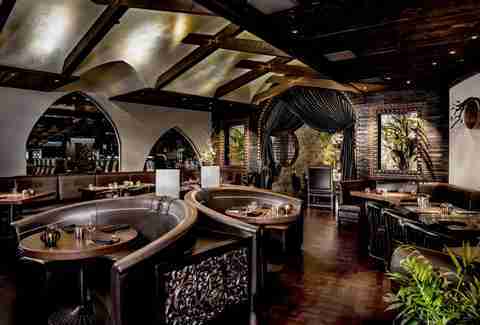 This stylish restaurant has a Vegas lounge vibe that feels right at home off the casino floor of the Aria. The ceviche is the specialty with seven versions on the menu, but don't overlook the selection of prime steaks, which you won't usually find made at this level at a Mexican restaurant. Although as good as the food is, the most talked-about item is the 25-foot-long piece of art that's the largest in the world created by a chainsaw -- a five-panel piece of wall art depicting the Mayan Creation myth, the modern history of Mexico, and the Tree of Life. 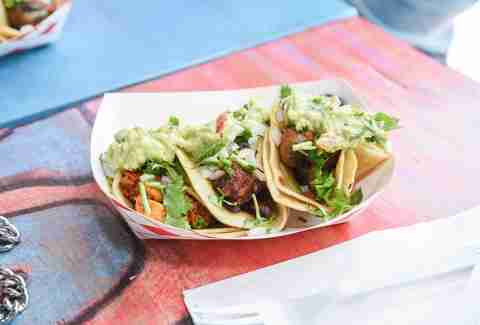 After building a reputation in Los Angeles, Pinches Tacos now has two locations in Vegas -- one for the tourists at the Downtown Container Park and one for the locals at the Gramercy. If you need help choosing between the two… well, the one at the Gramercy has a bar. It also has a make-yourself-at-home vibe that encourages guests to watch TV and stick around a while. None of the sauces or marinades are measured in the kitchen. Everything is done "by feel" based on seasonality of the ingredients and in-house recipes by the family who owns and runs all the locations. 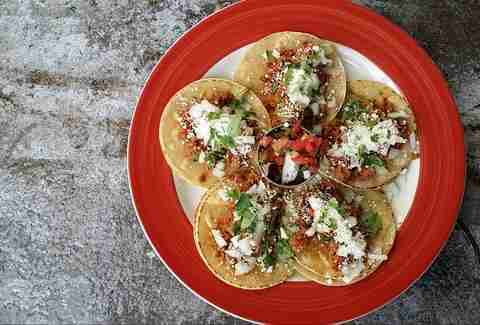 The Gramercy location alone goes through about 160 Gringo Tacos a day -- a deep-fried hard shell taco of shredded beef and mozzarella topped with lettuce, tomato, and homemade chipotle cream sauce. El Dorado could easily get by on location alone -- open 24 hours in the same building that houses Sapphire Gentlemen's Club. Yet the restaurant puts fresh ingredients and healthy food prep at the center of its menu. No GMOs, no antibiotics, that sort of thing. 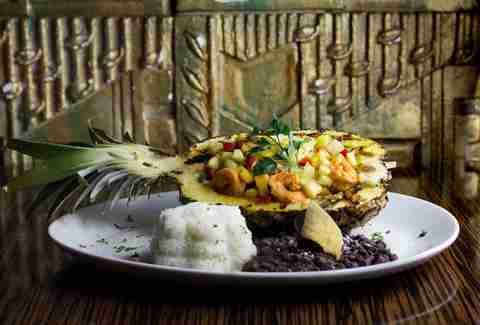 The chef has also been mixing things up of late, offering four special dishes every two months that highlight a region of Mexico. Recent highlights: shrimp-stuffed peppers from Baja California and delicious mole from Oaxaca. More upscale than, say, Bomb Tacos around the corner, La Comida models itself after the cosmopolitan elements of Mexico City, proving to be a busy social spot in the Fremont East District of Downtown. That means reclaimed vintage decor -- including pews and stained glass from a Mexican church -- a list of more than a hundred tequilas, and a diverse lineup of margaritas served in mason jars. The creamy Queso Fundido is worth a trip all by itself, with melted Oaxaca cheese and truffle honey balanced with the spicy bite of chorizo and poblano peppers. This two-level restaurant has been around for nearly two decades -- an eternity for celebrity chef–driven Vegas restaurants -- proving to be a pivotal expansion in the culinary empire of Susan Feniger and Mary Sue Milliken. With a view of Mandalay Bay's pool complex, there's a lot of scenery to draw in diners any time of day, but the food is best enjoyed during brunch -- when you can get unlimited small plates for just under $40. Sure, the margaritas are good, but don't overlook the wine list, which is heavy on choices from Spain and Mexico. Let's say you wanted a taco made with meat from a cow's head -- and wanted it to go. Well, Tacos El Gordo is your kind of place. In addition to the cabeza option, you've got nine choices of meat for your taco, from sesos (cow brains) to relatively boring stuff like carne asada. It's just one of the many ways this family-owned business combines authenticity with convenience -- although navigating through multiple lines before paying can be a bit tricky. Check out one of three Las Vegas locations -- on the Strip, North Las Vegas, and near Downtown. While everyone else does Taco Tuesday, Salud has Margarita Mondays -- when you can get unlimited tacos and margaritas 3-8pm for $22. 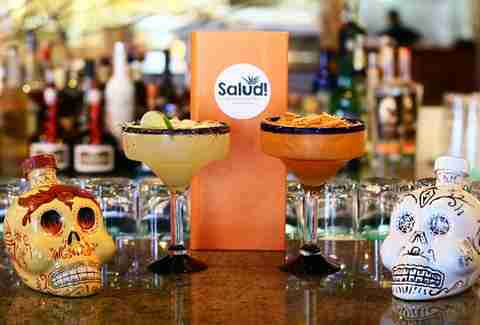 It's just one way Salud tries to stand apart from a crowded field of Mexican restaurants in Vegas. Another example can be found in unconventional dishes like a jalapeño mac n' cheese, lobster chorizo empanadas, and a Mexican-style gnocchi with peppers and mushrooms. 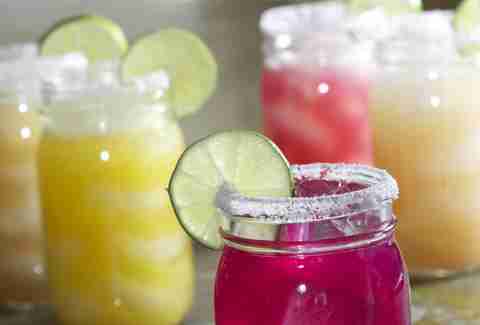 Throughout it all is an emphasis on fresh ingredients, including the hand-squeezed juices used for the margaritas. As the hard-to-pronounce name suggests, this restaurant focuses squarely on regional favorites from the Mexican state of Michoacán. That means a lot of seafood, soups, avocados, and cheeses, not to mention three dishes made with beef tongue. You may also come across a Mexican noodle known as fideo and margaritas made with chamoy for a slightly salty or savory twist. This small regional chain may have gotten its start in Seattle, but there's a reason for the rapid West Coast expansion -- a few, actually. The margaritas are among the best in Vegas, including the smooth Founder's Margarita with reposado and agave, the Smoky Margarita with mezcal and charred pineapple, and the Tamarind Margarita, which blends cucumber, jalapeno, and cinnamon and somehow makes it work. Yeah, the food is pretty good, too. 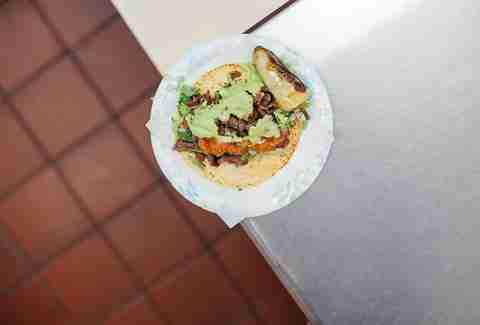 Turn your attention to the awesome grilled carne asada, served either on its own or inside a burrito. Rob Kachelriess has been writing about Las Vegas for Thrillist for more than four years. His work has also recently appeared in Travel + Leisure, Vegas Seven, David Magazine, Vegas Magazine, and Luxury Estates International's seasonal publication. All he wants is a cow-brain taco right now. Follow him on Twitter @rkachelries.